← The ingratitude. Whose town is this, anyway? Please excuse me a little indulgence today. I’m going to break away from the usual stuff I do and talk a bit about blogging and freedom of speech, because something has happened in the local blog community that’s really irritated me, and what’s more, it seems to be a component of a larger trend. I’m sure that readers of this particular blog, and the many others out there in cyberspace, believe in responsible freedom of speech. That is, I’m sure that we all share the belief that we should be able to express our freely held beliefs in the public domain providing they don’t claim untruths or incite hatred of minorities, be they ethnic, religious or cultural. The position a blogger or journalist traditionally enjoys in the United Kingdom – that they can express their opinion freely and without fear – seems to be under some threat. Today, just as the fantastic Plastic Hippo wrote about the 1996 Defamation Act, a fellow blogger in Willenhall, Political Penguin, was bullied into removing a post he made on his blog in 2007, about a prolific local letter writer and blowhard, Ian Payne. Ian has spent a great deal of time over the years writing very strongly worded letters to the press, in which he pulls no punches regarding those of whom he disapproves. Good examples of the writer’s oeuvre are returned in a basic search of the Walsall Advertiser site, or a similar search of the Express & Star where he regularly comments on articles, as he does on the BBC website. He even came to the attention of spEak You’re bRanes, a satire site for such web-based comment, who were really quite strident about Mr. Payne, in a manner which Political Penguin was not. I’d particularly like to point out a couple of sentences from a letter written by Mr. Payne to the Advertiser, on April 29th, 2010. Ian is fed up with those he assumes to be benefit scroungers. In my world, I would make all those who make a career choice of being on the dole, thank and kiss the feet of every hard-working citizen in this town. One florist, who said she had sold out of roses, stated that they had been purchased by people going to spend the day in the pub. Now, these statements clearly demonstrate a strong belief in their owner’s reality and a certain approach to life that suggests a robust and forthright grasp of debate, I think you’ll agree. Leaving aside the technical points of why Mr. Payne himself wasn’t at work when he observed the people he perceives to be indolent, and exactly how common it is for florists to grill their punters on their daily activities, one really has to admire the plain speaking. 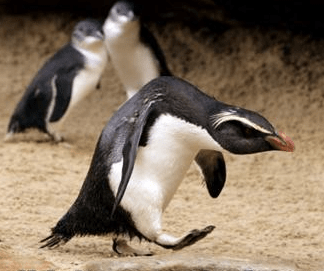 Political Penguin chose to perform a mildly humorous critique of the sometimes immodest work of Ian Payne on his blog, published way back in 2007. That it should, three years after composition, be taken so badly by it’s subject – a man clearly not given to mincing his words – came as some surprise to the local blogosphere. It would seem that the article caused Ian Payne such offence that he contacted the Labour Party (with whom Political Penguin’s personal blog has no connection, he’s just an activist) and the site’s host, who applied pressure to get the post taken down. It has come as some shock that such a prolific, pedantic practitioner of free speech seems to be so opposed to the concept when it comes to Political Penguin. I find this sad, worrying and just a little redolent of bullying. As much as I may be irritated by Mr. Payne’s output, I’d never seek to silence him, indeed, I welcome him into the online arena to debate matters properly, in a gentlemanly manner. I’d defend the right to speak out – however unpalatable the subject or statement – because I do so myself, and invite others to do so, too. Any other position would render me a hypocrite. In a time when libel laws are used like blunt weapons against those who speak out of turn, I feel that the free speech we treasure, that gives us all a democratic voice, is a precious commodity and therefore worthy of defence. With bloggers and agregators being easy targets, it’s sad to see such a vocal, active local opinionate resorting to such unpleasant measures to silence his critics. Politics Penguin is the second local web journalist to feel the cold chill of such online unpleasantness. This should not continue. This entry was posted in Bad Science, Events, Express & Star, It makes me mad!, Just plain daft, Local media, Local politics, Shared media, Spotted whilst browsing the web and tagged Bully, Bullying, defamation, Express & Star, Ian Payne, legal threats, letters to the editor, Libel, local blogs, newspaper letters, Pigblog, Political Penguin.Politics Penguin, Politics, Speak your Branes, The Plastic Hippo, The Stirrer, The Stymaster, The YamYam, Walsall Advertiser, Walsall Blogs, Walsall politics. Bookmark the permalink. I do not know Mr Payne and from what has been said I don’t think I would want to. We all have the right of free speech or supposed to have but in some areas it seems that is not true, mores the pitty. I have a firm belief in To Thyne Own Self Be True and also Do As Thou Wilt But Harm The None. This said, I think before I say any thing, except when I am being a true Sagitarian and firmly place both feet in my mouth. Then when done ahh well to late it has been said and probably ment at the time. Who was the first then, if PP is the second? I found this a very interesting post as I have to say I often find Ian Payne’s writings to the local papers to be of little interest to me. I do however agree that we do have the ability to say more or less what we think- as long as it is not libellous or slanderous – and really it seems to me there is a little bit of stones and glass houses here.